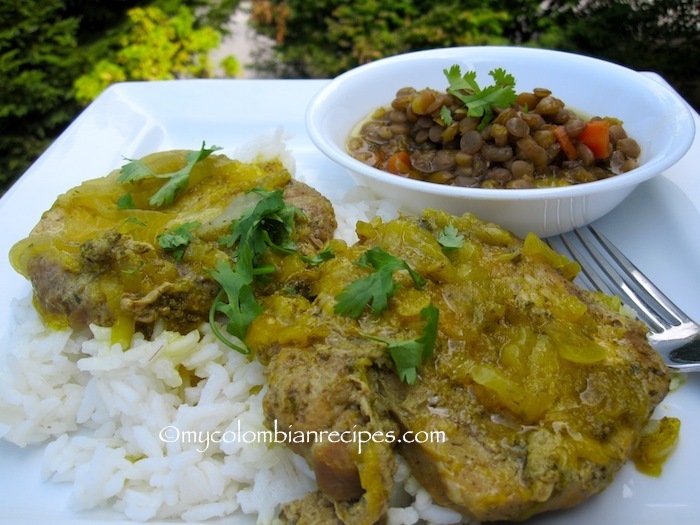 This delicious and comforting dish was a staple at my grandmother’s house in Colombia. My grandmother never wrote, or cooked from, a recipe, so I needed to learn by watching her in the kitchen. Ever since I came to the United States, I have been making Cerdo Encebollado based on the memory of what it tasted like when Mamita made it for me, and I’m happy to say that the flavor is almost exactly like hers! One at a time, place the pork slices between 2 sheets of plastic wrap and pound with a meat pounder to 1/4-inch thickness. Season both sides with salt and pepper. In a large sauce pan over medium-high heat, warm the oil. Working in batches, add the pork in a single layer and cook until well browned on both sides, 2 to 4 minutes per batch. Transfer to a plate. 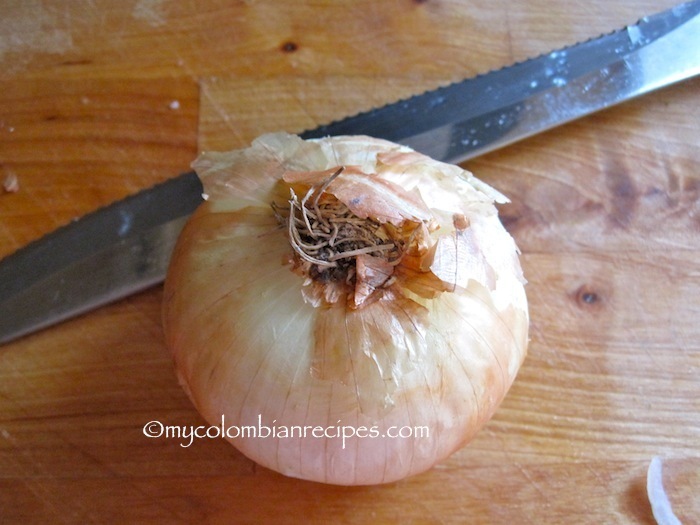 Add the onions to the pan and cook, stirring occasionally, until browned, 7 to 9 minutes. Add the aliños sauce and cook, stirring constantly, about 1 minute. Add the water and stir to scrape up the browned bits from the pan bottom. Return the pork to the pot and bring to a boil. Reduce the heat to low, partially cover the pot and cook until the pork is very tender and the sauce has thickened, about 1 hour and 15 minutes. 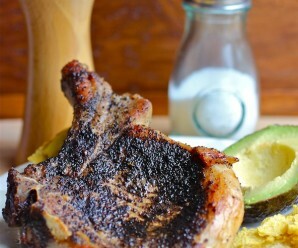 Thanks for the sauce recipe – this looks ridiculously flavorful. What a powerfully flavored way to rock out a sliced up pork loin! Love this, Erica. 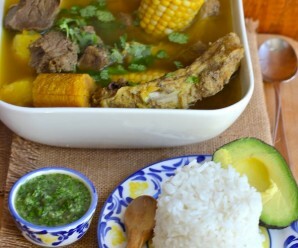 Hi Erica, I made your pork encebollado last night for dinner and it was very good. Thank you. 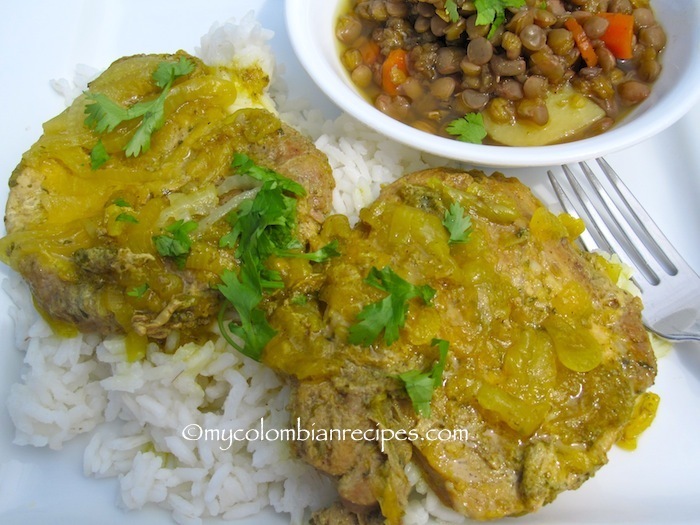 Whata great combination adding those lentils which is always a favorite of mine…. Erica! Deliciosa esta receta. 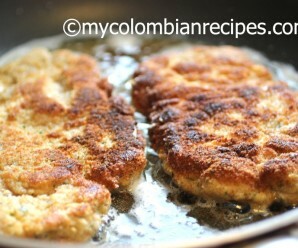 Soy colombiana que vive en el exterior y desde que encontré tu blog trato de hacer alguna de tus recetas cada semana. 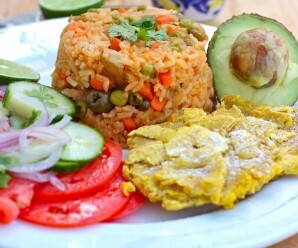 Están geniales tus recetas, nunca imagine que nuestra cocina colombiana fuera tan diversa. Gracias por compartirla! Hi! I’ve been making this recipe for years and wanted say my family absolutely love it every time I make it. Muchísimas gracias por sharing una recita de familia.